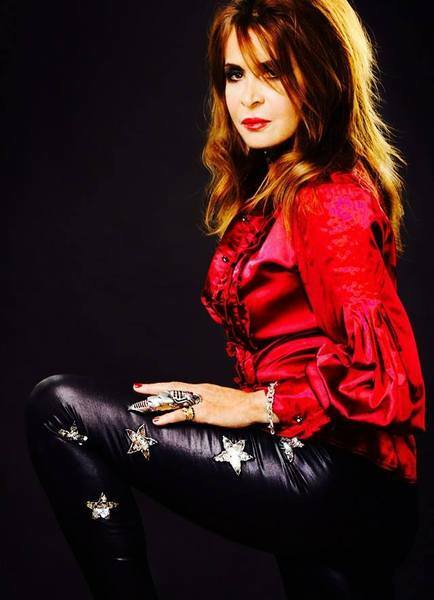 Fabienne Shine was the front woman of the legendary seventies french hardrock band Shakin’ Street (Shakin' Street, a French rock band founded by Eric Lévi and Fabienne Shine), that included at one time Ross the Boss (Dictators, Manowar).She began modeling in Rome as a junior cover girl, and later, in Paris and London. Paolo and Vittorio Taviani noticed her and gave her her first important acting role in their film, under the name Fabienne Fabre. She also worked in two films by Federico Fellini, Roma and Satyricon, and performed with Marcel Marceau in Barbarella. In 1967, she was a nurse in Sergio Spina's science fiction film, Fantabulous Inc.. And in 1969, she was featured in Vittorio Caprioli's film Scusi, facciamo l'amore? with her good friend, Pierre Clementi.While modeling, Fabienne began singing, playing guitar and composing folk and rock music. In 1973, Fabienne met Johnny Thunders of the New York Dolls in Paris and followed him to New York City. Thunders wrote the song "You Can't Put Your Arms Around a Memory" for her. She travelled the world with a guitar in her hand as a gypsy renaissance woman. In 1975, Fabienne had a long relationship with the legendary Jimmy Page She studied guitar with him and toured America with Led Zeppelin on their private jet airliner The Starship. Robert Plant encouraged her to form a band.Fabienne started a band with Eric Lévi, Corinne Marienneau,i and Louis Bertignac (Téléphone). The band was named Shakin' Street (after the MC5 song) by Marc Zermati when they appeared at the first Mont-de-Marsan punk festival in 1976, sharing the bill with The Damned, The Police and Eddie and the Hot Rods. Shakin' Street also shared bills with The Clash and The Stranglers. Fabienne's photo was featured on the covers of Sounds and NME.Fabienne met Phillip Shine in Bombay, India. He became the group's manager, and she adopted his name as her own. Shakin' Street signed to CBS Records in France and released the album Vampire Rock in 1978. Fabienne shared the stage with her long-time friend, Nico, during several concerts of their French tour.Their follow-up album, the self-titled Shakin' Street, was produced by Sandy Pearlman. Now with Ross The Boss on guitar, they toured the world for a full year, sharing bills with Blue Öyster Cult, Alice Cooper, Black Sabbath, AC/DC, Molly Hatchet, Journey, REO Speedwagon, and Heart.In 1980, Fabienne married Damon Edge, the mysterious creator of the San Francisco experimental/industrial band Chrome. Fabienne collaborated with him on several Chrome albums, and her vocals appear on the 1982 Chrome album 3rd from the Sun. When Damon moved to Paris, Fabienne introduced him to her band and a new version of Chrome was formed. 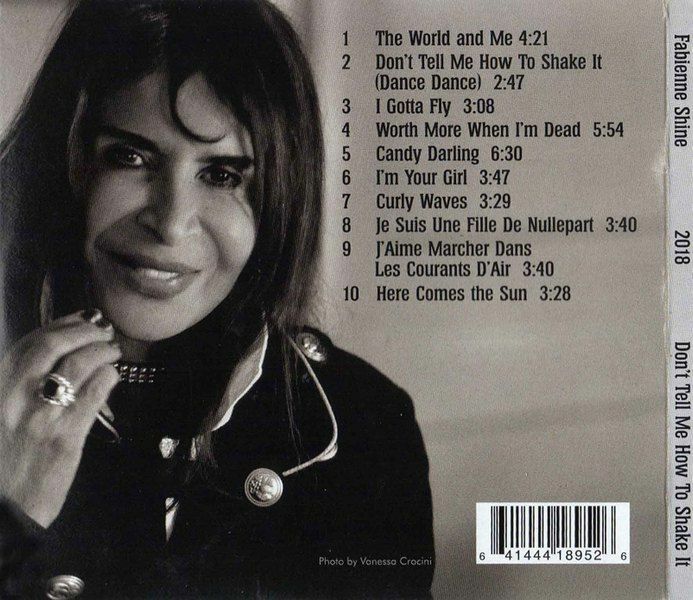 After she and Damon separated, she studied astrology in Paris.Fabienne continued to compose songs, and Jean-Lou Kalinowski co-wrote four songs with her for the 1997 release No Mad Nomad, produced by Pierre Henri Samion, an album she wrote in memory of her former husband, Damon Edge, who had died in 1995. If you will note, both the words "No Mad" and "Nomad" spelled backwards is "Damon. "Shakin' Street reunited for a concert in 2004 at the Paris Olympia. The same year, she was reunited with Chrome's co-founder Helios Creed, with whom she co-wrote two songs, and performed a version of "All Tomorrow's Parties", on his Deep Blue Love Vacuum album. In 2006 she toured with Helios and performed at the South by Southwest Festival in Austin, Texas.The album Fabienne Shine and The Planets, released in 2007, featured drummer Jean-Lou Kalinowski, who also produced and composed two songs. Ross The Boss played guitar, Albert Bouchard and Joe Bouchard played drums and bass. Norbert Krief from the French group Trust also played guitar. Thierry Cossu played guitar also, and Micha Sanchez played bass. Fabienne composed five songs with the enigmatic "Balasz Antal" (nobody seems to know who he is except Fabienne) who played guitar, keyboards and sitar. "Moogy Klingman" (Todd Rundgren) played Hammond organ and Philippe Bonanno played synths and organ, Dave Shultz (English Beat and Berlin) also played keyboards. The album was recorded in Los Angeles, New York, and Paris.Shakin' Street will release their fourth album in 2013. 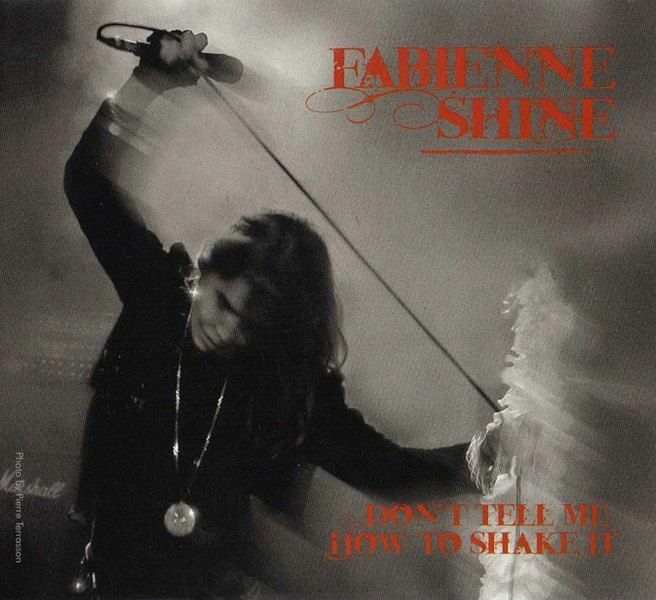 Like the proverbial Phoenix, Fabienne Shine (Shakin´ Street) rises to show the world she is back and still knows how to "SHAKE IT"!The new album Don´t Tell Me How To Shake It is out now, featuring 10 great new tracks.Fabienne Shine on lead vocals, accompanied by reknowned musicians & vocalists :Freddie Katz (NY Producer, Composer & Guitarist), Joe and Albert Bouchard of Blue Öyster Cult, Norbert Nono Krieft (Trust) and many more.